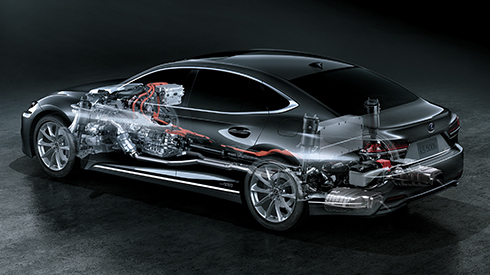 Developed exclusively for Lexus, the core engine platform was redesigned and high-speed combustion technology and a high-efficiency turbocharger utilized to deliver exceptional power output together with outstanding fuel efficiency. The engine generates maximum torque starting at low rpms, providing powerful acceleration whenever the accelerator is depressed. Paired with the Direct Shift-10AT, the rhythmic shifting and direct response boost driving pleasure. 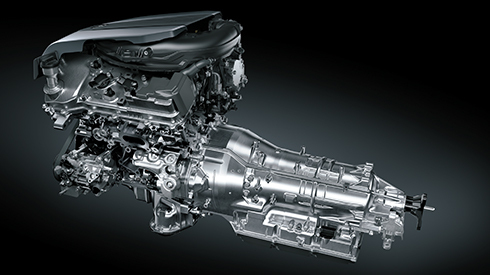 Delivering a sophisticated blend of power and environment-friendly performance, Dual VVT-i (Intake side: VVT-iW) contributes to high torque across the rpm range, with lightweight roller rocker arms and a low-friction timing chain enhancing high-revving performance. TheStop & Start System complements the D-4S fuel injection system to further enhance fuel efficiency. 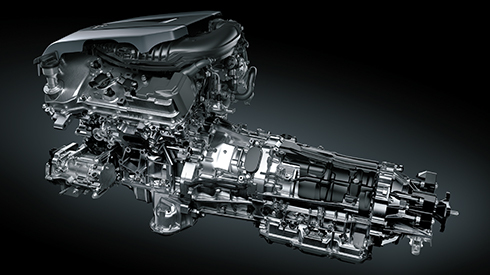 The hybrid system’s V6 engine integrates advanced technologies that include Dual VVT-i (Intake side: VVT-iW) and D-4S fuel injection system. 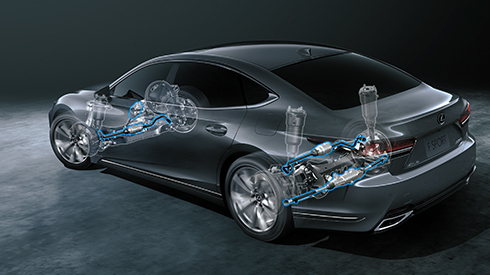 Lightweight components further contribute to both powerful driving and outstanding environmental performance. 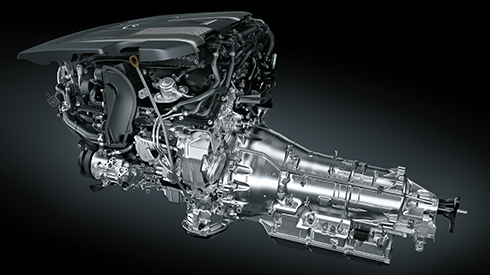 A focus on reducing friction losses in the engine helps boost peak output revolutions from 6000 to 6600rpm. 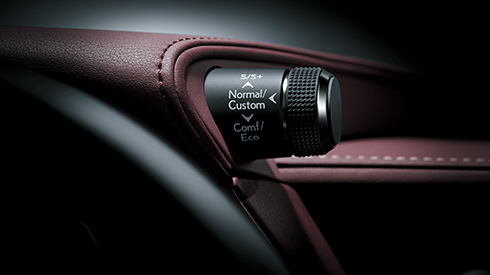 The Multi Stage Hybrid System’s 10-speed shift control provides a direct acceleration feel that follows the increase in engine rpms, together with excellent shifting rhythm. The Multi Stage Shift Device varies the combined output of the engine and motor, amplifying engine torque and increasing drive force by 24%. It utilizes engine speed in a wide range from low to high speeds, harnessing maximum engine output from 50km/h, as well as enabling high-speed driving at lower engine rpms for a quiet ride. 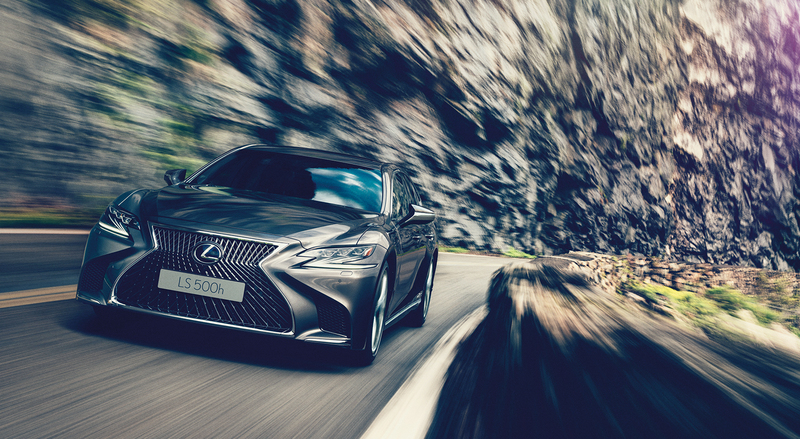 The LS takes advantage of the FR platform that Lexus refined for the LC to optimize front-to-rear weight distribution and the moment of inertia. The result is natural, smooth vehicle dynamics when cornering, accelerating and decelerating. The adoption of a low driving position and a layout that keeps the driver’s hip point and the vehicle’s center of gravity close together minimizes the distance between the driver and the axis of rotation, heightening the driver’s feeling of oneness with the car. In this way, the packaging meticulously refines the inertia characteristics to deliver excellent response along with smooth, stable changes in posture during the sequence of movements involved in cornering. 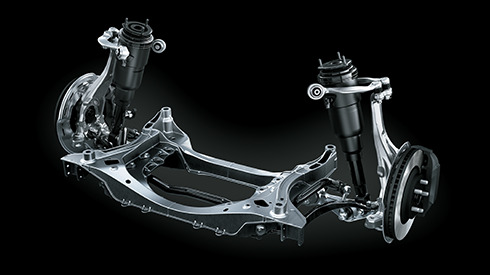 The front suspension utilizes low-friction oil in the shock absorbers to provide supple ride comfort. The development of a ball joint stud type cantilevered bushing for the rear suspension contributes to a sophisticated blend of handling stability and ride comfort. VDIM integrates control of engine, braking, steering and other functionality, including the EPS and LDH which controls the steering angle of the front and rear wheels, as a single system, to provide a high level of active safety together with driving pleasure. LDH optimizes the steering angle of all four wheels based on factors such as vehicle speed and steering inputs, to realize ideal vehicle dynamics for the driver’s operation. The result is excellent vehicle stability during high-speed driving and nimble steering response in mid-speed driving on surfaces such as mountain roads.